The Governor’s approval ratings hover in the teens, and politics clearly mirrors life in this simple fact: people don’t show up to unpopular peoples’ parties (unless the food is really good). 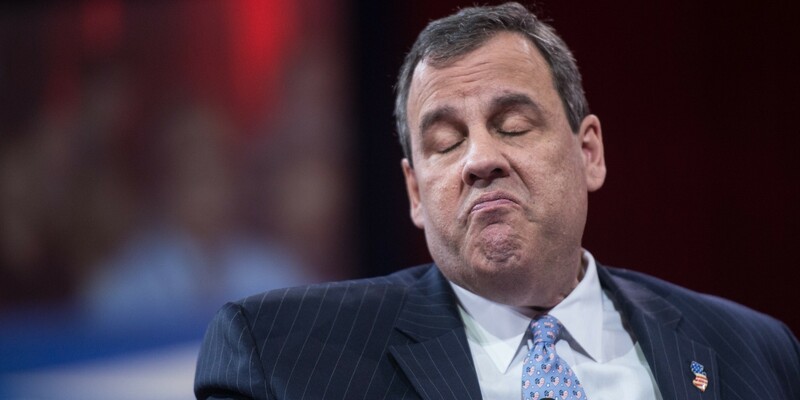 Mr. Christie is a historically unpopular politician who is serving out his last year in office. NJ is facing a cascade of economic problems: slower job recovery than the rest of the region, declining home sales, high property taxes, crumbling infrastructure, companies moving out of state, and one of the worst cases in the country of underfunded pension obligations. Despite statements to the contrary, the Governor has been unable (or unwilling) to address those aforementioned issues (he has also overseen a record number of state credit downgrades), and they will be passed on to the next person who takes over in January of 2018. These difficult economic issues and his resounding unpopularity may have influenced the focus of this year’s state of the state address. The Governor fell back upon a topic that he has forcefully and eloquently talked about for years: drug addiction. He spent over 2/3 of his speech discussing policies and programs around addiction and recovery (this was not historic – the Governor of Vermont devoted his entire State of the State to addiction in 2014). This is a subject that has bi-partisan support and one that can still get him positive media coverage. The day after his speech, a member of his staff sent out a self-congratulating email with links to glowing coverage from the area papers as well as the Governor’s appearance on “Fox and Friends” that morning. To the average citizen with a cursory understanding of addiction and recovery, it appeared that Mr. Christie is a visionary with several incredible and well-meaning policy proposals. Advocates, those deeply ensconced in substance misuse policy, and other politicians know the real story, and we’ve been sharing it with various media outlets over the last three weeks. Some of my friends and colleagues have asked me why I have been so critical of the Governor when he is finally focusing more attention on this issue. Two analogies: (1) You work very hard at a job. You put in long hours. It’s clear that you are vital to the organization. Other people of less skill and work get raises. After seven years, you finally get a 3% raise. While you are happy for the money, you think, “Why did it take so long and why so little?” (2) You do a majority of the housework in your home (more than your spouse/kid/parent/sibling). After three years, your spouse/sibling takes out the garbage and cleans the kitchen sink. Once. How much praise do you give them? That he wants a bill from the legislature that mandates insurance coverage of inpatient treatment for six months. Senator Joe Vitale introduced a bill that would cover three months last September. Six months is unlikely to pass and even if it does, would be subject to a massive pushback on the state and national level by insurance companies. The Governor did not address whether or not this would apply to people on Medicaid or those without private insurance. If it did apply, it is something that the state could not currently afford. He announced a one-stop number for people to call about treatment – 1-844-REACH-NJ. This is redundant. On July 1, 2015, the state created and funded the NJ Addiction Hotline. That number is 1-844-276-2777. Either Governor Christie is creating a redundant program or is changing the number in order to get some press for a program that has been around for 18 months. He ordered the creation of a curriculum on opioids and other prescription drugs for school children of all ages. The NJ Heroin and Opiate Task Force suggested this in its report back in 2014, and the NJ legislature has tried to pass legislation regarding this for the last few sessions. He talked about Narcan saves, but he did not say that he would ensure that first responders received the additional funding required in order to have Narcan. Gov. Christie was slow to support Narcan, and its presence, use and expansion in this state is largely due to the front line work of advocates like Patty DiRenzo and Paul Ressler, both of whom last their sons to this epidemic. Christie said he would instruct his Attorney General to limit initial opiate prescriptions to 5 days. Seven day limits have passed in NY and Massachusetts in the last couple of years. This is a sound policy and a major departure from the Governor’s lack of motivation of regulating doctors (he refused to mandate the Prescription Drug Monitoring Program, require medical providers to be trained on addiction, or require doctors to warn parents of those under 18 about the dangers of opiate painkillers when prescribing them). The Governor did not discuss needle exchange programs, the NJ Recovery High School in Union, the importance of medication assisted therapies (and much needed regulation that would require them to be accompanied by urine screens and counseling), or the various programs that police are trying to utilize to address what happens after an overdosed person is revived. A few days later, Governor Christie announced the creation of yet another Task Force to study the problem. He largely ignored the report of the first Task Force (which I chaired in 2012). The co-chairs of the second Task Force were at the statehouse for his speech. Advocates, policy advisors and politicians have made the issues very clear. There are many other states that have implemented good programs and strong regulations. It is hard to fathom why we need a third Task Force. Perhaps most significantly, he has not commented at all on President Trump’s plan to repeal the Affordable Care Act and gut the Medicaid expansion. Thousands of New Jersey citizens were able to get access to treatment with that expansion, and many in the future will be cut off. Despite his big talk about wanting to address this issue in a bi-partisan way, the Governor has shown himself loathe to criticize the President. That isn’t leadership. Breaking with Trump and stating the very obvious fact that Medicaid expansion helped treat thousands of people (and saved a lot more money in the criminal justice system and health care) would be leadership. Within the first year of taking office, Governor Christie supported expanding drug courts as an alternative to incarceration (which is costly and largely ineffective in addressing addiction). I was excited to hear him talk, and I believed that a Republican Governor who had been a US Attorney had a much more real shot at meaningful criminal justice reform and overhauling the treatment industry than a Democrat (who would be accused of being soft on crime, wasting tax dollars, and suffering from a bleeding heart). Despite talking about expanding drug courts, he didn’t significantly increase their funding. This is a pattern he has oft-repeated over the last 7 years. Mr. Christie is quick to talk about new laws, effective programs, tougher regulations and increased funding, but when it comes time to sign the dotted line, he hems, haws, delays and under-delivers. But by that time he has already basked in the sunlight of media attention and public adoration, and the citizens of NJ are either too busy or too apathetic to notice that he has accomplished very little. At at little after 2 pm yesterday afternoon, Gov. Chris Christie gave his seventh and final state of the state address. After a brief review of other policies, the Governor used most of his time to address drug addiction. He appeared on the front page of papers around the state today, and received a lot of fawning coverage. Jeremy Rosen, a member of his staff, sent out an email to members of the state and national media this morning about all the positive press and highlighted Mr. Christie’s appearance on Fox and Friends this morning. Ken Serrano of the Asbury Park Press called me immediately after the speech and asked for my opinion. His write-up can be read here. Michael Hill of NJTV news interviewed me in my home this afternoon (click here to see it). With my media appearances concluded, I wanted to write out a blow-by-blow response to Mr. Christie’s speech. 1) Mr. Christie stated that drug addiction affects kids, schools, health care, law enforcement, jobs and even your family. Agreed. 2) He said we can’t “arrest, jail, or pray” ourselves out of this problem. Agreed. 3) The Governor talked about the prison program that will open in the spring. He talked about it at last year’s address. I have heard from people setting it up that the plans are moving smoothly. I hope high hopes for this and expect that this will be his greatest legacy. 4) Mr. Christie railed against legalized marijuana and mentioned that if you legalize it, more people will use. He said that one of the biggest predictors of someone becoming an addict was starting to use substances at a young age. I am against legalized marijuana. Mr. Christie’s point about age of first use is correct. But while the Governor wants to continue criminalizing marijuana and locking people up for using it, I want to see it decriminalized. 5) He said that insurance companies must pay for up to six month of inpatient treatment and eliminate pre-authorizations and early medical reviews. New York passed a similar bill last summer. Senator Vitale recently introduced a bill covering these very issues but it only required up to three months of inpatient treatment. Gov. Christie took it further. This was the highlight of his speech. If this happens, I will stand up and clap for him and praise him on this achievement. 6) Mr. Christie announced a one-stop website and phone number for people to call to get information and find treatment. The number is 1-844-REACH-NJ. NJ already has a one-stop phone number. The NJ Addiction Services Hotline is 1-844-276-2777 and began to take calls on July 1, 2015. It has 22 full time staff members and is run by Rutgers Behavioral Health Care. Over 85% of the phone calls they have received are from people with no insurance or on medicaid. This new number is a redundancy – a true waste of tax payers’ money. When I called it today, the automated menu put me on hold. After a long wait, I told the person on the phone that I had a friend with no insurance. They referred me to the NJ Addictions Services Hotline. 7) The Governor said that 18 and 19 year olds would be considered youth when it came to mental health and addiction treatment, allowing them to get more funding and better services. Commissioner Alison Blake has been advocating and working on this plan for the last three years. It is a good idea that should have been implemented years ago. More lives could have been saved. 8) Mr. Christie said that we needed a new curriculum on opioids and other drugs for kids of all ages – different programs for kindergartners, middle school kids, and high school students. Great idea, but it was suggested years ago. The NJ Heroin and Opiate Task Force suggested this back in 2012 and included it in its paper in 2014. Last fall, Senator Joe Vitale introduced legislation covering this very thing. 9) He talked about all the saves from Narcan and how law enforcement officers around the state are administering it. This is wonderful. Governor Christie delayed the wide scale use of Narcan back in 2012. When the bill allowing for it finally passed in 2013, he did not provide funding for police departments. Grass roots activists like Patty DiRenzo and Paul Ressler pushed this issue to the forefront of municipalities and police departments and helped raise public money to train civilians and first responders on it. More lives would have been saved had Christie not delayed the release and engaged in a massive push of funding for police officers from the beginning. 10) The Governor talked about counselors helping those that have overdosed. They are not counselors, but rather Recovery Specialists. They have a little training and a small scope of practice – they meet with individuals who have overdosed and through sharing their personal stories and reducing stigma, have better outcomes at getting addicts to go to treatment. This program was created by the Ocean County Prosecutor several years ago. 11) Mr. Christie talked about the role of recovery dorms on college campuses. He said he would increase the funding for these vital programs fourfold. Senator Vitale sponsored a law that passed in the fall of 2015. It mandated that all colleges with over 5000 students living on campus must have recovery housing in the next four years. Christie signed the bill into law but did not provide funding for it. A fourfold increase does not even support the current existing programs, much less help the other schools establish this new required housing. Usually Mr. Christie likes to talk about specific numbers, but he didn’t do so in this case because the numbers are so small. 12) People without a deep knowledge of this issue were impressed by the time he gave to addiction and praised him for being out in front on this issue. Gov. Pete Shumlin of Vermont devoted his entire 2014 state of the state address to addiction and then followed through on his plans. Advocates around NJ had been begging Christie to do the same thing. It would have been more effective had he done it a couple of years into his reign when he had a 54% approval rating. He has done it much too late – his number hover around 12% and he has only a year left in office. 13) He instructed the Attorney General to issue a special rule that limits initial opiate prescriptions to 5 days. NY and Massachusetts have laws with a seven day limit on the books. We have tried to get this passed in NJ, but Democrat Herb Conway kept killing it in the Assembly Health Committee. If this actually happens in NJ, it’s great news. We asked for it ages ago. Until this happens though, I am skeptical. Big Pharma donates a lot of money to NJ politicians. 14) The Governor said that we need more sober living and recovery houses, and that he would push to deregulate them. Sober living and recovery houses are not regulated in NJ. This is a huge problem. I have fought to have these houses regulated. They need to have (a) 24/7 staffing; (b) urine tests two times a week; (c) a curfew; and (d) reasonable access to 12-step meetings and treatment. There are no requirements like this right now. There have been a number of deaths in NJ sober living houses because of a lack of oversight. The lack of regulation of sober living is such a problem that Florida has created a Task Force to shut down programs. There is nothing to deregulate in NJ. This is particularly upsetting because it is well known and has been well reported that Mr. Christie has rich friends who have made a lot of money from running half way houses for people coming out of the criminal justice system. And they have run them very poorly. I am afraid that Mr. Christie is looking to give his friends another financial windfall at the expense of the suffering. 15) Mr. Christie spoke movingly about AJ Solomon, a young man who worked in his office and had a drug problem. While I am happy for Mr. Solomon that he has found recovery, I am deeply concerned that he is opening a private treatment program next month in Camden. He is 26 years old and less than three years sober. These are the exact kind of experiences and qualifications that individuals often have when they open up the kind of for-profit facilities with problems that I mentioned in point 14. Being in recovery does not mean one has an understanding of treatment or recovery support services. 16) Needle exchange programs reduce the rate of new Hep C and HIV infections. This saves lives and money. NJ has only a few small exchanges that have survived on private funding. Gov. Christie approved $200,000 for those programs last summer. But they need to be both continually funded and expanded. 17) The Governor said he would crack down on doctors who profit off of pills and the industry that supplies them. He did not say how he would do it. He did not say he would take away medical licenses, push for fines or throw doctors or pharmaceutical executives in prison. 18) He still has not mandated the NJ Prescription Drug Monitoring Program. 19) Mr. Christie did not talk about the NJ Recovery High School. Nor has he helped raise funds for it, nor provided for it in his budget. The school has been supported by Senator Ray Lesniak, a Democrat of out of Union who has had a long-term antagonistic relationship with the Governor. That is probably why Mr. Christie has neither visited it nor supported it. He has let petty politics get in the way of helping addicted children. Many of Mr. Christie’s announced policy plans are positive. But most of them have come much later than they should have – the number of overdose deaths have increased significantly under his watch, and he was advised on these issues years ago. I am concerned about whether or not these laws will be passed or if the programs will be funded (and if they are funded, will it be a one-off or will they be continually provided for). The timing is problematic. The Governor is deeply unpopular. He has no political capital and the treasury is not only bare, but horrifically in debt. Mr. Christie has a year left in office. He was quick to tout the reception of his speech on go on Fox to talk about it. It seems that he has once again fallen back on this public health issue to address his dreadful poll numbers and try to engage in a comeback. Despite my distrust of the man and his history of disappointing me, I hope that some of these policies and programs will come to fruition. But I fear that we will all be fooled again. “Meet the new boss. Same as the old boss.” – The Who, 1971. Yesterday afternoon I found out that a young man that I knew quite well had died. Bobby (not his real name) had been an individual patient of mine, off and on, from 2010 through most of 2016. I’ve spent much of the last 24 hours thinking on him. Bobby was referred to me by another therapist. That therapist started treating him when he was 17 and saw him for several years. Bobby was a very bright kid from a good family. He used substances a little bit, had a penchant for minor crimes, and often used his wit to lessen his consequences. In his early 20s, he discovered crack cocaine and his life spiraled downward. Within two years, the drugs had severely impacted the functionality of his brain. Bobby’s sharp mind had been permanently dulled. His therapist thought he should see a drug expert, but also found it brutally difficult to see Bobby in his newly diminished capacity. I met with Bobby and his parents during our first session. It was clear that they were kind and loving and desperate for their son. They were frustrated too. Bobby would put together a month or two of living substance free, and then would spectacularly relapse and sell his things (he went through several laptops). Bobby had been seeing a psychiatrist and was on a heavy regimen of a variety of medications. He had also begun to experience a bit of religious psychosis. Despite all of this, Bobby was able to get and maintain good part time jobs that paid well. We worked out a plan. Bobby and I met weekly. Because of his mental state, he no longer had any friends that he hung out with. I tried to get him to reach out and engage with others, but he had little desire to and perhaps not much ability. Every session, he would ask me a very painful question: “When will my brain heal?” Despite doing significant damage to his cognitive functions, he was aware of the fact that he was changed. I refused to lie to him. I told him that he may have done permanent damage to his brain, but that we wouldn’t know for sure until he had a few years clean from drugs and allowed it to heal if it could. This would register, but he always asked me the same question the next week. It was heartbreaking. Bobby had a kind heart. We would talk about the needs of other people. He had vast empathy for not only his family, but strangers. He eventually put together 11 months clean. He was saving money, occasionally attending 12-step meetings, and was slowly repairing his relationship with his parents. Then he disappeared for a few days. His Mom tracked him down in a dumpy motel. He expressed remorse and got clean again. He was 30 credits or so shy of a degree, so he went back to school part time (and worked part time too). He relapsed after a little more than a year. His parents cut him off and after a few months of a vagabond lifestyle, he checked himself into one of the indigent treatment centers in NJ. He got out after six months and called me up. He said he had no money but wanted to see me. I had folded up my private individual practice in order to focus on all of my other work, but I felt a deep obligation to Bobby. He offered to pay a small fee once he got a job and I agreed. We met off and on over the next two years. We worked on a plan for meetings, exercise, family communication, work, school and in a few other areas. He would often cancel for one reason or another, and eventually I figured the best way to get him to keep his appointments was to meet him outside of his apartment. Occasionally he still cancelled. The last time I saw him was in the summer. When I found out he died, I was not surprised but it still jolted me. My first thought was “I should have done more.” That was also my first thought when my friend Frazer overdosed and died in 2002. Then I thought about his Mom. And his Dad. And his other family members. I called his Mom an hour after I found out. I hadn’t spoken with her in three years. She told me that he had been home for the holidays and died in his sleep. She said he went peacefully. And then she started to cry. Heavily. I told her that there are no adequate words of comfort. I told her I mourned with her. I also said that I knew hundreds of parents that had lost their children, and that I would like to put her in touch with them, if and when she was ready. She thanked me and told me how much Bobby liked me. Even in this moment of ultimate despair, she was trying to soften the blow for someone else. I’ve worked with a lot of people that have since died. Some were students, but most were clients that were in some kind of rehab or outpatient group. A man who was very dear to me died from complications around his relapse and liver cancer four years ago. That was awful (I still carry around the prayer card from his funeral). I’ve trained and supervised many therapists who have lost a patient. They always grieve the loss, and they often beat themselves up for missing something or not doing it differently. I tell them that working in mental health and addiction is brutal, and that death is horribly common aspect of our work. I tell them that it is a reminder of how limited our powers are. When a patient was sent to prison in 2004, my first real supervisor told me that I couldn’t wear the successes and failures of my clients, because I was (a) not that powerful or responsible and (b) that I would burn out. He told me I had to focus on the process. It was my duty to listen, to educate, to inform them about resources, to model healthy communication and behavior, and to provide honest and forthright feedback. I have shared that story with every counseling student and supervisee since then. I did all of those things for Bobby. And he still died. I spent hundreds of hours with Bobby talking about the most intimate aspects of his life and mind. I liked him. I hoped and rooted for him. And now I mourn him. I avoided the gym today because I wanted to avoid the resolution tourists that plague it on National Gym Sign Up Day. Most of the newly signed (gym general managers call them rubes but count on them to turn a profit) are long gone by the Super Bowl, but the monthly deductions from their bank accounts may last the rest of the year. 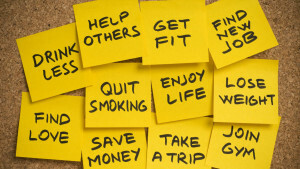 New Year’s Resolutions are not new. There is evidence that Babylonians, Romans, and millennia of Jews and Christians vowed to make changes at the start of a new year (the wikipedia article is quite interesting). If there is such a long history of resolutions and people really mean it when they make them, why do so many fail? 1) Too vague – I’m going to lose weight. I’m going to start working out. I’m going to drink less. I’m going to save money. None of these are specific. I’m going to lose 15 pounds by May. I’m going to work out three times a week for at least a half hour each time. I’m going to have five drinks or less a week. I’m going to save $500 more a month. These are much more specific. They are also measurable. 2) Too ambitious – I’m going to lose 50 pounds by March. I’m going to work out every day for at least 90 minutes. I’ll never drink, smoke, or gamble again, and I’m also going to give up sugar and caffeine. I’m going to save 40% of my gross income. Failure is not only almost certain, but probably immediate. Set reasonable, specific, and measurable goals. 3) No plan – Plans are specific and set up a course of action. If you want to quit smoking, you should talk to other people who have quit. You should investigate different medications, gums, patches, and cessation groups. You probably should avoid other smokers (when they are smoking…this is really important for anything you are quitting). You may need to carry gum (I suggest Wrigley’s) or toothpicks or a squeezey ball (to squeeze when people irritate you and you feel like smoking). 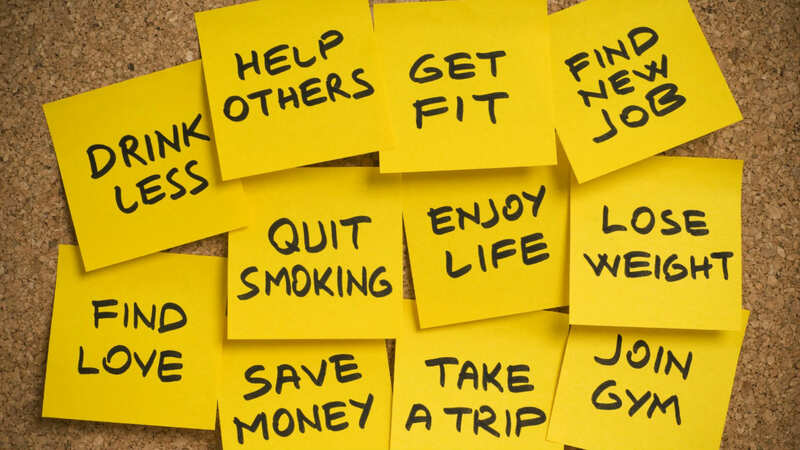 4) People don’t track/measure them – You are far more likely to succeed with exercise, weight control, saving money, planning a trip, or quitting smoking if you measure the progress of your plan. Daily. That means writing things down. In the same place (not on scraps of papers, napkins or on your phone). 5) An utter lack of support – Alcoholics Anonymous works because people are trying to make a major change with the support of other people who are either (a) just making that change themselves or (b) made the change a long time ago and offer wisdom and support. This is the major key to Weight Watchers. It is also why most people do better with a workout partner (at least early on). There will be a day (in week 2 or week 5 or month 9) where you want to give up. Or cheat a little. Having another person or group you are accountable to helps you stay on your new path. If you do all five, you still aren’t guaranteed success. But, it will be much more likely. And here is where it gets really cool. Once you’ve changed,other people will eventually see it (in the long run) and then you can help them change too.